As you send your child off to school, you’ve got 101 things to think about. One of those is school lunches. Getting back into the swing of making lunch every day—or doing it for the first time—can be daunting, especially when you consider all the safety and health concerns out there: allergies, healthy choices (and making sure kids eat that healthy food! ), keeping food cool (or hot) enough, and keeping kids safe from food contaminants like e. coli. Keeping food cool is a huge concern. In one study of 700 preschoolers’ lunches, published in the journal Pediatrics, it was found that a whopping 90 per cent of children’s perishable food was too warm to eat. 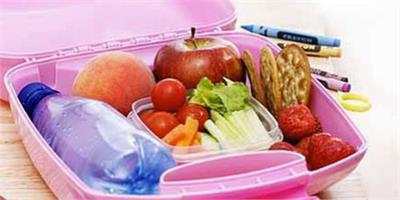 Following are important safety tips to consider when packing lunches for your kids. 1. Buy an insulated lunch bag. Hands down, an insulated lunch bag is the safest option for perishable food. 2. Use two ice packs. Even insulated lunch bags and boxes need ice packs. It’s safest to include two ice packs, or one ice pack and a frozen juice box or milk box or partially frozen water bottle. A frozen sponge in a zip-lock bag can work as an ice pack, too. 3. Keep all food refrigerated (or frozen) until just before packing. 4. Freeze anything that can be frozen. Even a sandwich will thaw by lunchtime. It’s safe to freeze hummus, tuna, egg salad, and lunch meat. Parents have reported packing frozen cookies, muffins, veggie sticks and dip, wraps, leftover cooked chicken or turkey, applesauce, and yogurt. You can also pack frozen peas, corn, and fruit—it’ll be ready to eat by lunchtime. 5. When in doubt, opt for room-temperature foods. Most nut butters and seed butters (like SunButter) are fine at room temp. 6. Consider hot foods, too. Hot foods need to be kept hot in separate insulated containers. 7. Discard any leftovers kids bring home. Better yet, tell kids to discard them right after lunch. 8. Review your school’s food policy. Most of us are aware of the no-nut policies at most schools. But in recent years, schools and school districts have been banning things like eggs, sesame seeds, dairy products (yes, all dairy products! ), and certain fruits. In some cases, even nut-free butters are banned because school officials can’t be sure they’re nut-free. Bottom line: learn the regulations at your school and school district. 9. Tell your kids not to share. Sharing is great when it comes to toys, but sharing food with friends at school can be potentially life-threatening if a friend has an allergy. Educate your child on why it’s important not to share food. 10. Review hand-washing techniques. Before eating, kids should wash with warm soapy water for 20 seconds (that’s “one-hippopotamus…” or once through the ABC song at a steady pace). If kids aren’t allowed time to wash up at school, pack a moist sanitizing wipe with them to use before eating. 11. Make sure kids can open all food containers. This is a more common problem than you may think for younger kids! Make sure you choose a lunch box or bag and containers that your child can open without assistance and watch them do it a few times. 12. Label lunch bags and luncboxes. If another child has the same lunchbox, they can get mixed up, which is not only an annoyance—it’s another potential allergy hazard. 13. Make sure they have it. This may seem obvious, but teachers report kids show up all the time having forgotten their lunches. Make it part of your routine to do a final check before they head out the door. Find that perfect insulated lunch bag for school: the best litterless lunch boxes for back-to-school. Think beyond the sandwich with 7 packed lunch ideas that aren’t sandwiches. Here it is: all our staff secrets gleaned from years of packing school lunches! 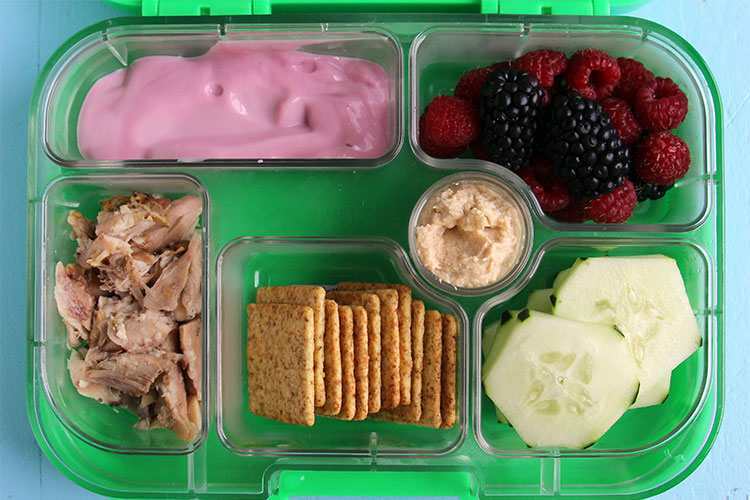 How to pack healthy lunches kids will actually eat. Wondering how that mom gets her kid to “love” kale? Read these secrets to raising healthy eaters from the experts.